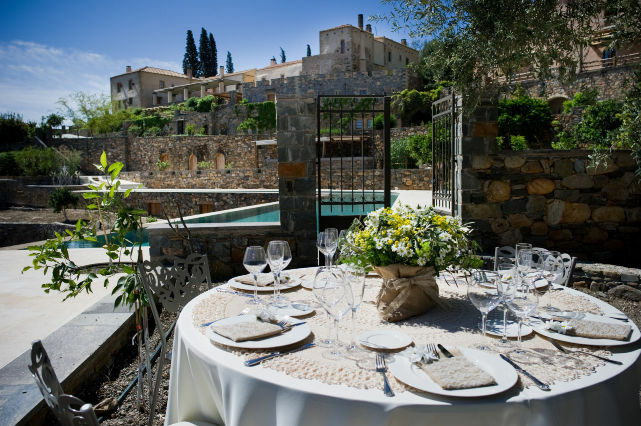 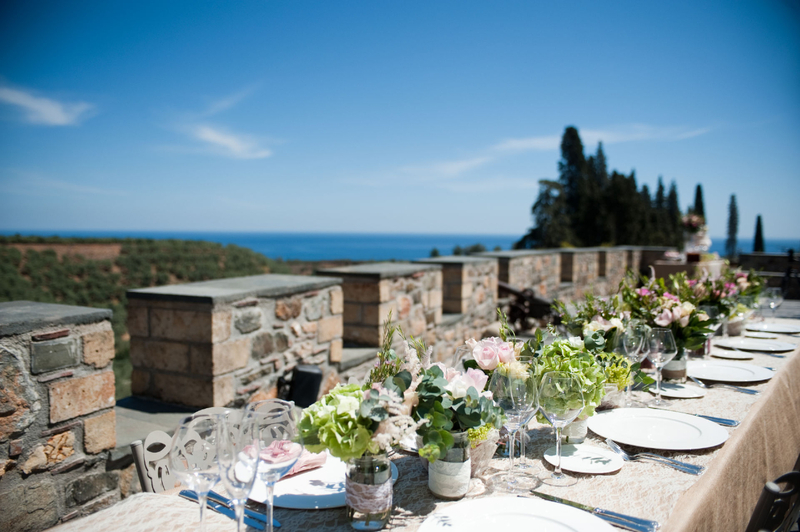 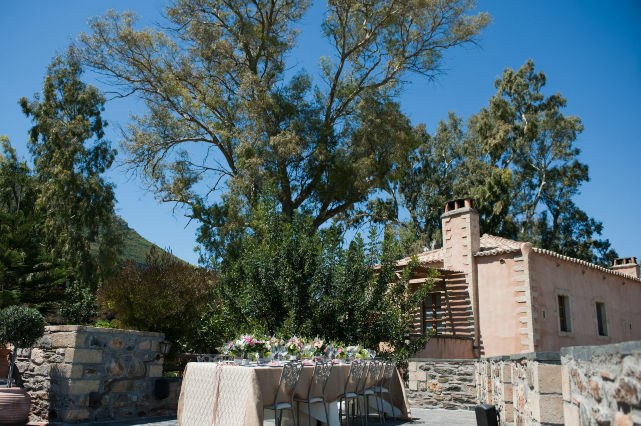 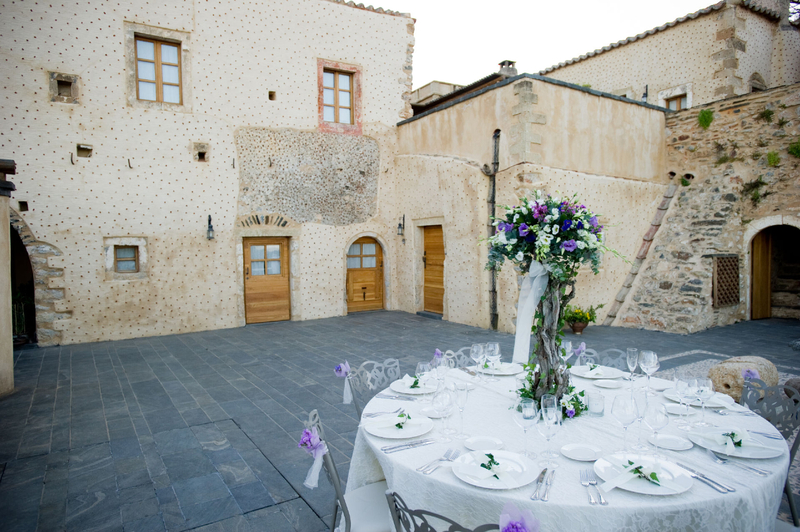 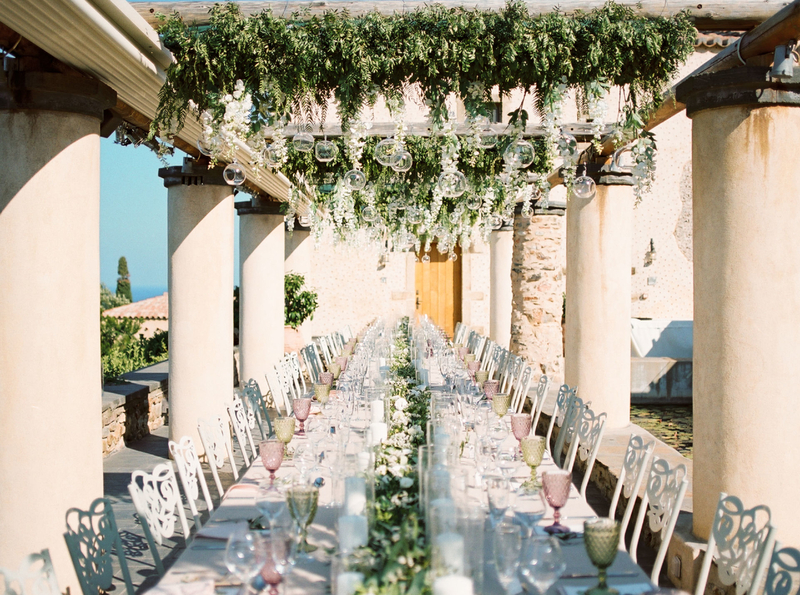 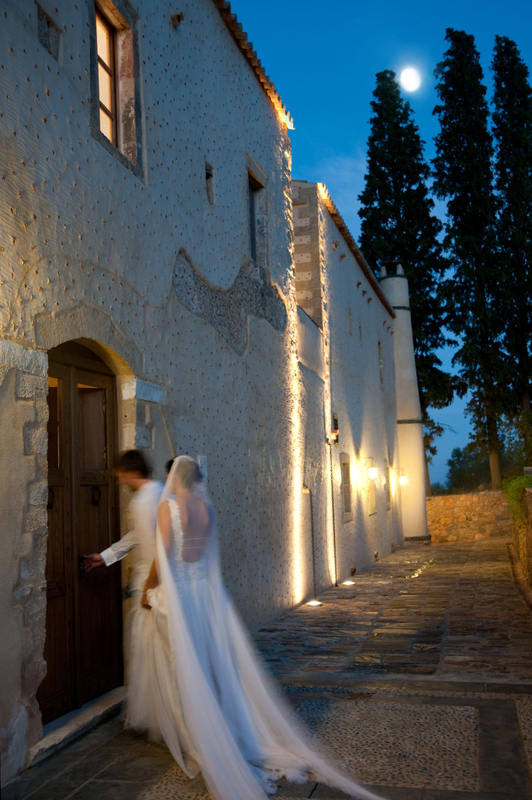 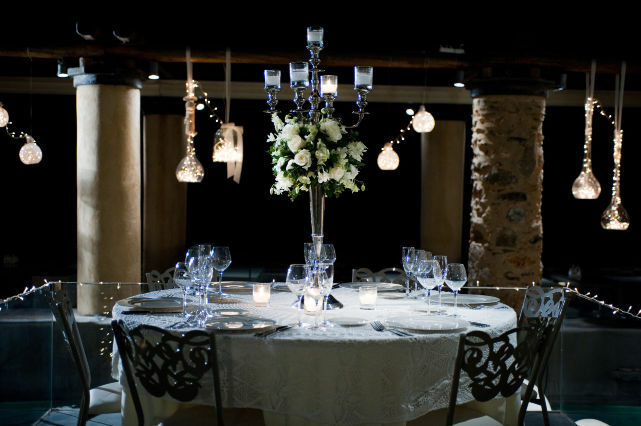 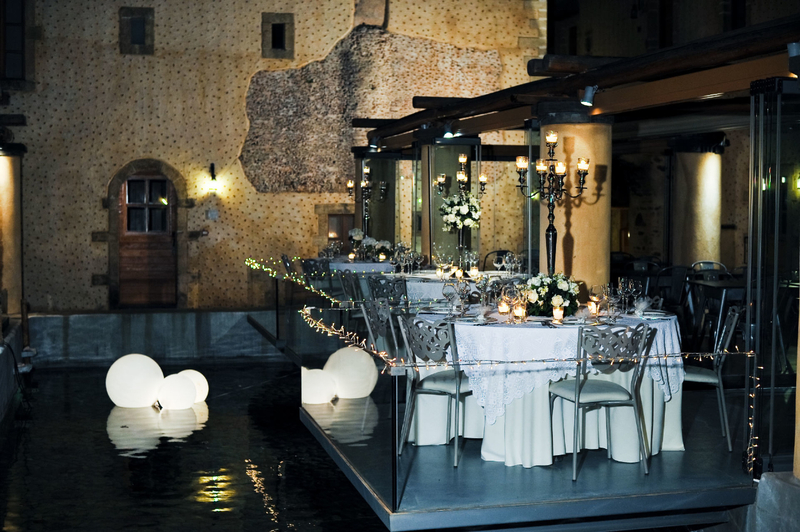 The historic mansion with a view of the sea, the nearby medieval fortress town of Monemvasia, a lushly green estate and unique culinary identity are the basic ingredients for a very special wedding that will assure your new life together starts off on the right foot. 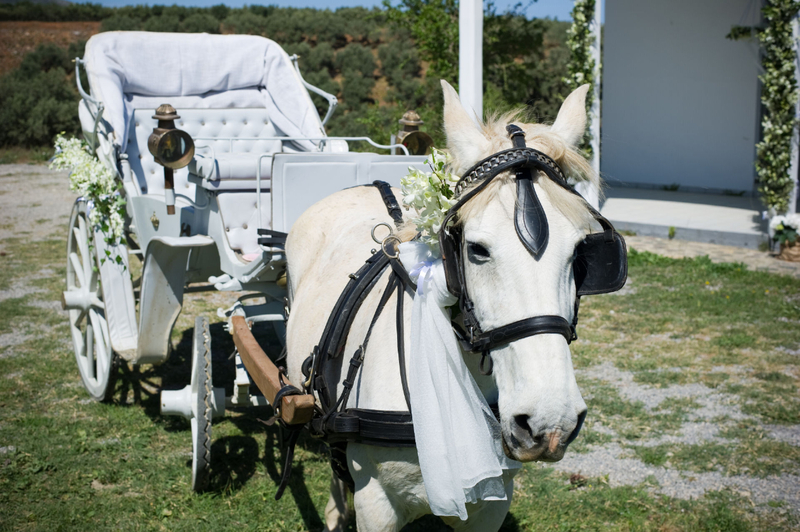 Whether you would like a classic fairy-tale wedding with a discreet note of luxury or something slightly more Bohemian, Kinsterna will provide an unforgettable experience and a lifetime of memories. 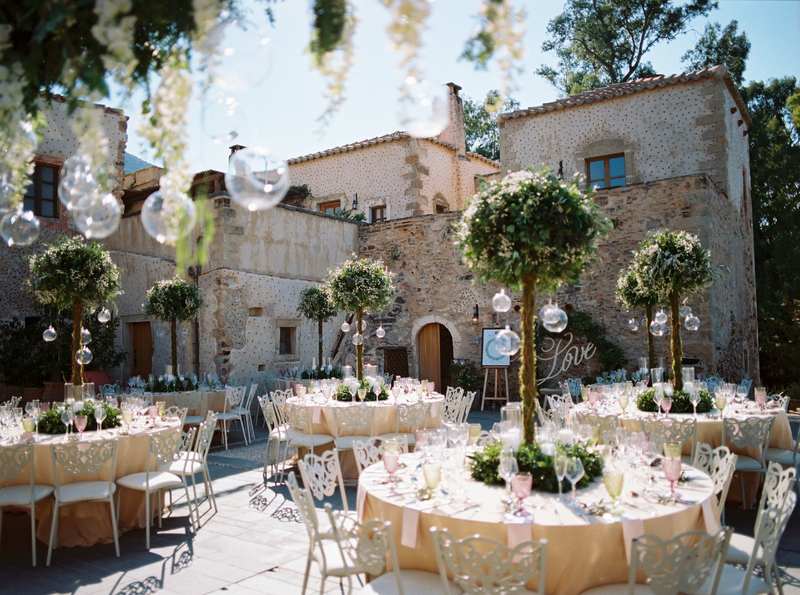 The imposing spaces, with their natural and architectural beauty, create a dreamlike wedding atmosphere for bride, groom and guests alike. 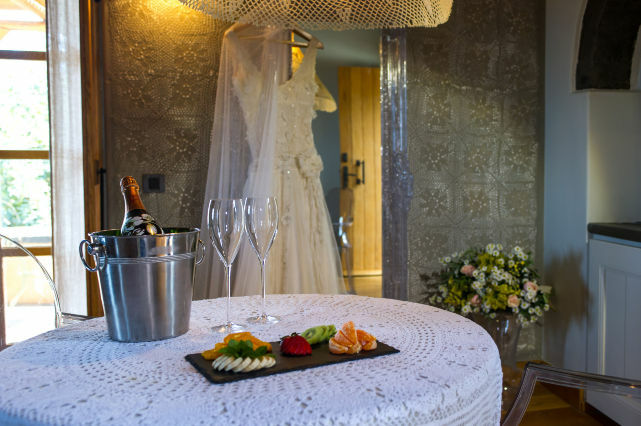 The manor’s head Chef will design a menu based on the tastes and desires of the wedding couple and, with the rest of the Kinsterna team, will undertake to provide a once-in-a-lifetime wedding feast and reception. 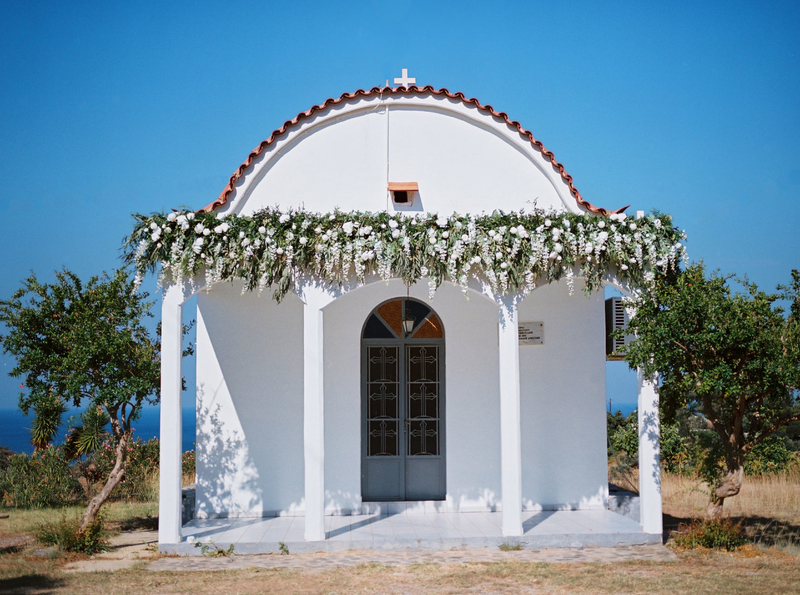 The picturesque little church of Zoodohos Pigi, with the Aegean Sea as a spectacular backdrop, is just a few metres from the manor house itself, while the wider region is famous for its many historic churches within the castle of Monemvasia as well as the Byzantine churches scattered throughout the neighboring villages and countryside.